We're ringing in 2019 in style….and comfort!!! 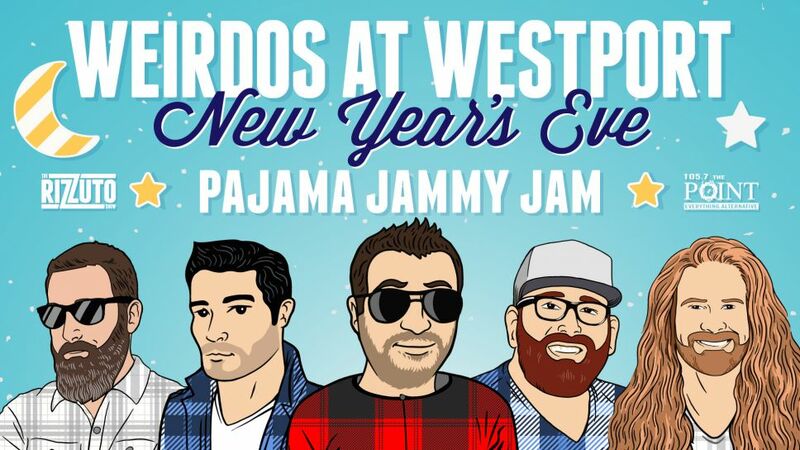 It's The Rizzuto Show "WEIRDOS AT WESTPORT" New Year's Eve Pajama Jammy Jam on December 31st at the Sheraton Westport Chalet in West Port Plaza. Throw on your best pajama pants…squeeze into that adult onesie your spouse is totally embarrassed by…and join the guys for a night full of “Rizzuto Show” festivities including music from DJ Patrico and a special live performance from Moon & The Teenage Dirtbags. Plus your ticket includes open bar, appetizer buffet, champagne toast at midnight, a Photo Booth, prize giveaways, a Rizzuto Show Pillow Case, and much more! Must be 21 years of age or older to attend. A limited number of overnight hotel packages are available through the Westport Sheraton Chalet and can be purchased HERE!